If you’re looking for an isolated environment for critical audio testing a VocalBooth is a great choice. For a controlled testing environment we offer multiple levels of isolation and interior treatments. Contact us today to find out what options are recommended for your application. 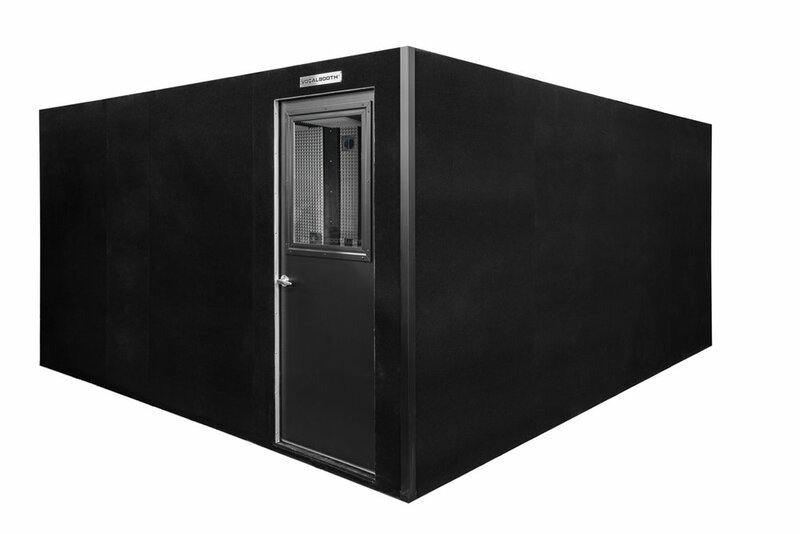 VocalBooth For the ultimate sound reduction for testing purposes look to our 6' x 6' Platinum Series with an additional 2" VB Studio Foam Foam interior. With the added 2" of interior foam, the wall thickness will be up to 6". The Auralex foam will also offer proper interior acoustics to reduce reflections for more accurate test readings. The added 3'x 3' wall window will provide an excellent view of the test subject. The Vent Silencer Upgrade reduces the already quiet ventilation to a minimum for precise testing. Includes standard active ventilation, lighting (US only), cable ports, Platinum Series sub-floor, fabric wrapped interior and hard fabric exterior.